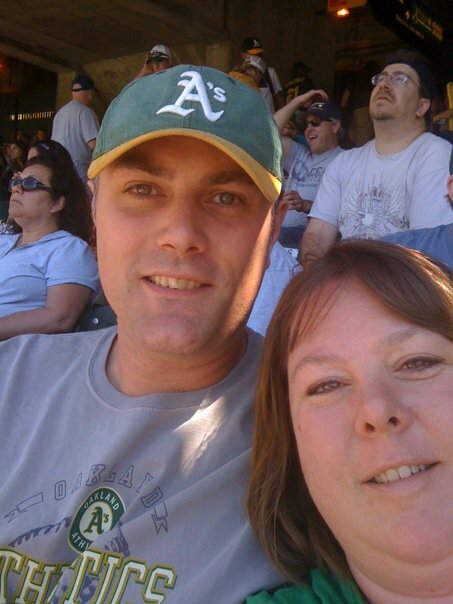 Last Sunday was our 17th Wedding Anniversary. Can we get a WHOOP!! WHOOP!! Seriously didn't think we were going to make it there. Just last month things were looking rather sketchy. BUT we are doing better now. 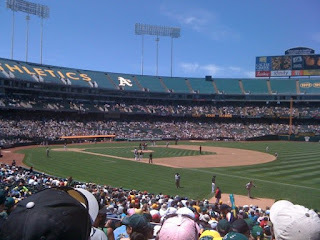 To celebrate I bought hubby and I tickets to go see the A's game. I thought it was pretty cool they had a game on our anniversary. 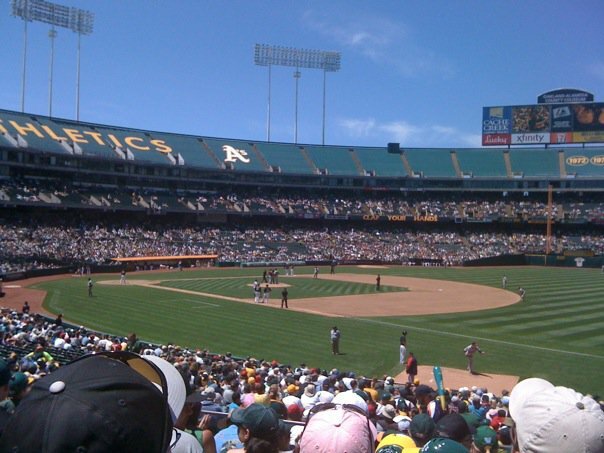 So we headed out Sunday morning to the Bart Station and then took Bart to the Oakland Coliseum. We had pretty good seats, not the best but not the worst. The best part was that they were in the SHADE for most of the game. The sun didn't peak around the corner and start scorching us until the end of the game. To top it off they won the game so that made it even better. Here's a really awesome shot of my neck and my cute husband. I swear he just gets cuter as the years go by. Totally not fair that I just keep looking worse lol.